About the production of the album Kupiainen states: “Several compositions date back to 2010. After receiving the inspiration for “Singularity” in 2013, I had to be patient enough to mature the ideas and compose new tracks over the course of five years. I have had the best possible lineup to program, arrange and perform the music to forge this album in its full-length.” – Kari, Erkki, Vesa, Ukri, Mikael and Marko. Singularity’s cover art was created by the renowned light artist Hannu Huhtamo. 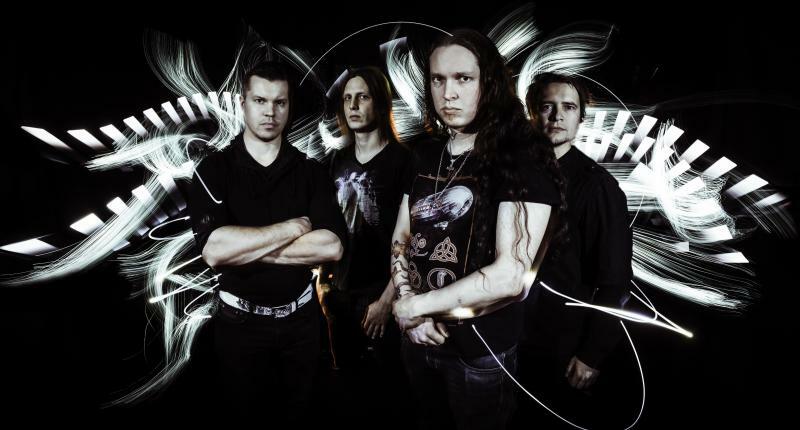 For the promotional photographs, Huhtamo also embedded the band amidst his creative light art illustrations. In order to capture the band group photo, the band was asked to stay completely still for 3 minutes while he was painting light around them.